Flux Arc Necklace in Oxidized Silver. 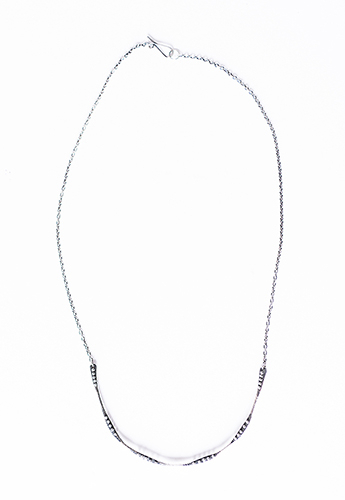 Twisted metal pendant with delicate ball detail. Hook closure. *Approx 16" Chain with $" x 2" pendant.